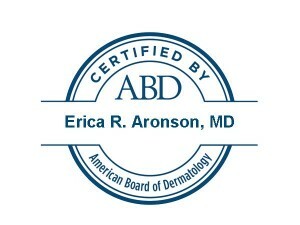 Dr. Erica R. Aronson is a board certified dermatologist specializing in complex medical, surgical and cosmetic dermatology (Botox, fillers, laser surgery). She sees patients of all ages, including children, and is passionate about all aspects of patient care. Dr. Aronson graduated from Stanford University with Honors in Psychology and Human Biology. Dr. Aronson then went on to complete her post-Baccalaureate program at The University of Illinois at Chicago where she was elected into The UIC Honors College, the Phi Kappa Phi Honors Society and the Beta Beta Beta Biology Honors Society. Dr. Aronson obtained her medical degree from The University of Chicago Pritzker School of Medicine where she was elected as Chief of the entire student body in her final year. During her time at The University of Chicago she became The Takeda Pharmaceuticals North America Scholar through the Achievement Rewards for College Scientists Foundation. Dr. Aronson was elected to the Gold Humanism Honor Society for her ongoing commitment to patient care. Dr. Aronson completed her rigorous internship in Internal Medicine and Residency in Dermatology at The University of Chicago. She has published many articles and spoken at numerous academic conferences. 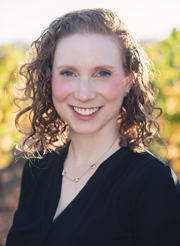 When not working Dr. Aronson enjoys hiking, camping and exploring wine country with her husband and daughters.